There’s an old saying you might have seen floating around the internet that states, “Those who tell the stories rule the world”. Even without the modern neurological research that proves storytelling is the best way to capture people’s attention, bake information into their memories, and forge close, personal bonds, humanity has always inherently known that people crave and seek out great stories almost as much as food and water. And the people (and brands) who can tell the most compelling stories are able to command the most influence within their community. 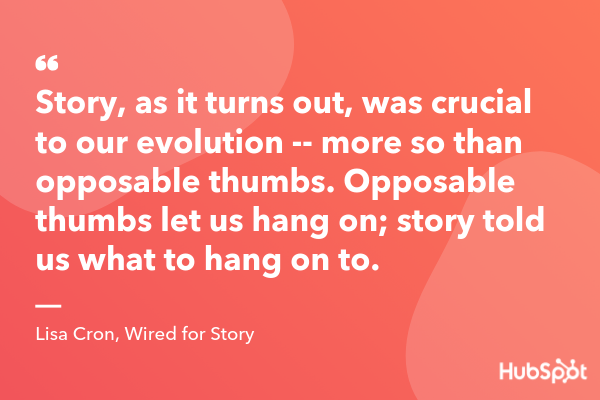 In the marketing industry, where 5% of branded content attracts 90% of total engagement, the need for storytelling is more pressing than ever before. Brands are creating content at a record pace and volume, but producing more content doesn’t necessarily mean it’s attracting more attention — it’s really just making more noise. If brands actually want to slash through the clutter and engage an audience, solely focusing on listicles and ultimate guides won’t suffice anymore — they must also tell gripping stories. 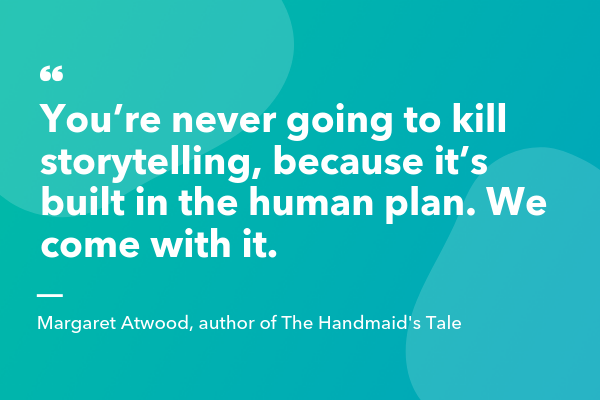 To help you channel your inner storyteller, we’ve curated 15 quotes about storytelling from some of the world’s most insightful authors and filmmakers. 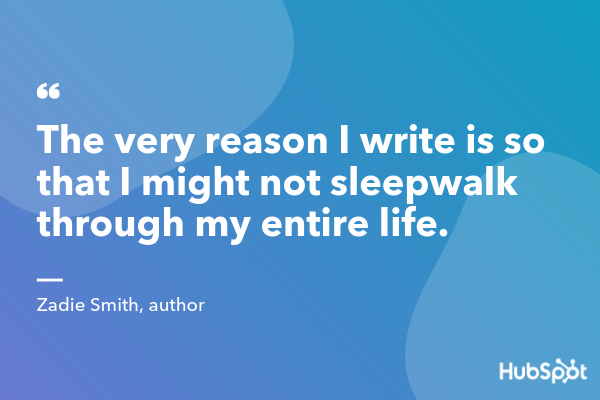 Read on to get inspired.